FRED MEYER ZERO HUNGER AND ZERO WASTE FOOD DRIVE: We will be collecting donated food items at our January 6, 11, 18 and 20th home games to benefit local food banks. BROAD STROKE ASSOCIATES HOCKEY HAPPY HOUR…EVERY FRIDAY HOME GAME: Lower Level ticket & beer/drink combo: starting at $24 ($13 savings). CLICK HERE for HHH ticket/drink combo. Doors open 90 minutes before puck drop for all Friday games with special beer and foo food specials. MOUNTAIN PACIFIC BANK SIGNATURE SATURDAY’S: FREE player signatures outside of Section 115 after select Saturday regular season home games. CLICK HERE for more info. SMILE GEN FAMILY FUN SUNDAY’S: FREE fun zone at each Sunday regular season home game, proudly presented by the Smile Generation. BECU SUPER SAVER SUNDAY’S: $5 Upper Level Yellow seats. Limit four tickets per order. 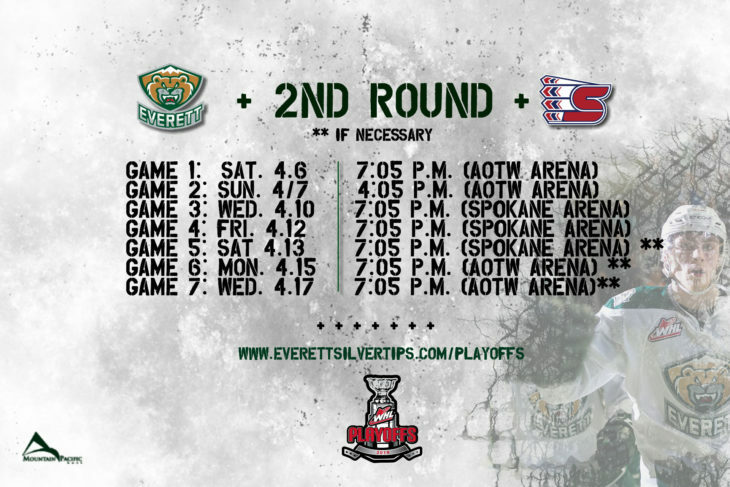 Must order in person at the arena Box Office or in the Silvertips Front Office. BECU $5 Super Saver Sunday tickets available starting on September 4th.